Look at what you're missing if you don't come and watch the Spartans play in Jenison. 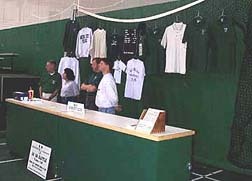 Stop by the SideOut Club merchandise booth and pick up some cool MSU Volleyball hats, shirts, and sweat-shirts (SideOut Club members get a 10% discount). Also, sign up to win a pair of court-side seats (SideOut Club members only). 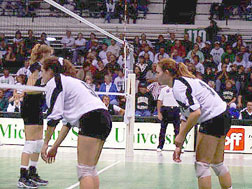 At each home match a name is drawn to win a pair of court-side seats for the next home match. 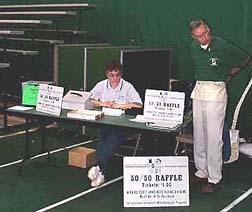 Purchase some SideOut Club 50/50 raffle tickets for your chance to take home a cash prize. 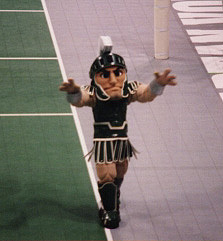 See Sparty and support the volleyball team by cheering with the MSU Cheerleaders. 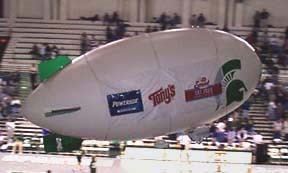 Catch a ping pong ball dropped from the blimp and win a prize. Purchase a SideOut Club 50/50 raffle ticket. Also, SideOut Club members can win court-side seats for the next home match. 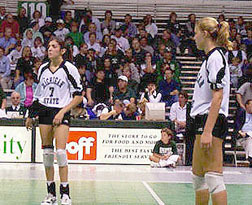 See a great volleyball match. 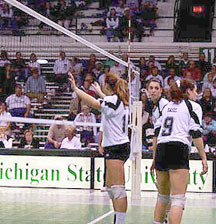 The Spartan volleyball program has grown into being a Big Ten and National contender each year. 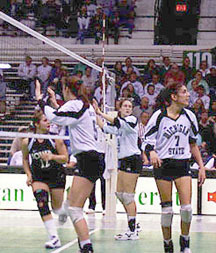 MSU has recruited four Fab 50 players in the last two years and Jenna Wrobel is on her way to becoming an All-American. 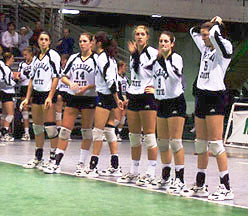 Come and watch some of the top volleyball players in the country.